“Stimming” is short for self-stimulatory behavior. (or stereotypical). It is common among people with developmental disabilities such as intellectual disabilities and Fragile X Syndrome. It is also prevalent among people on the autism spectrum. 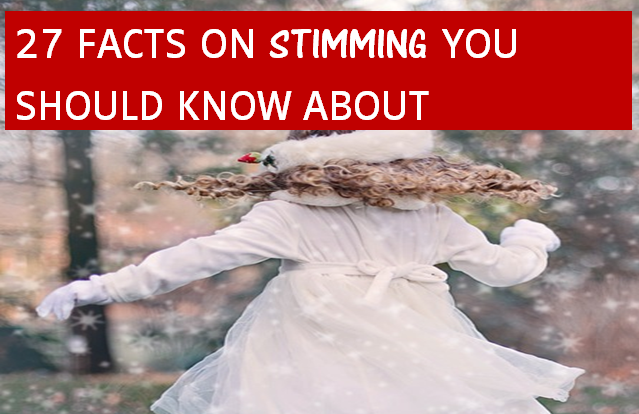 In fact in many cases, it is part of the diagnosis due to the repetition of stimming. Stimming is often used as a means to self-regulate, self-calm and for self-expression. The movements are repetitive and are used to self-stimulate the 7 senses. It is often described as a repetitive motor behavior that can disrupt academic and social and other activities. One of the theories behind stimming is that beta-endorphrins are released in the brain casuing an euphoric feeling which is generally a response to pain. Stimming behavior. based for self-soothing and to help a child or an adult regain emotional balance. Sensory Overload. Too much sensory information can lead to stress, anxiety and eventually a meltdown. It is observed in 10% of non-autistic children. Benefits of stimming include the increased ability to remain calm, reduce meltdowns, and increased focus and time management skills. Autistic people may bebefit from stress balls, fidget toys, and chewy jewelry. Stimming helps to relieve anxiety. This is due to understanding that stimming is an important tool for self-regulation. repeated banging of the head actually reduces the overall sensation of pain. Visual. Repetitive movements such as fluorescent lights which tend to flicker. Vestibular. Moving body, rocking back to front, spinning, jumping and pacing. Vigorous exercise reduces the need to stim. This entry was posted in Autism, Autism Spectrum Disorder and tagged anxiety, aspie, self-stimulation, smell, stimming, tactile, taste, vestibular, visual. Bookmark the permalink.